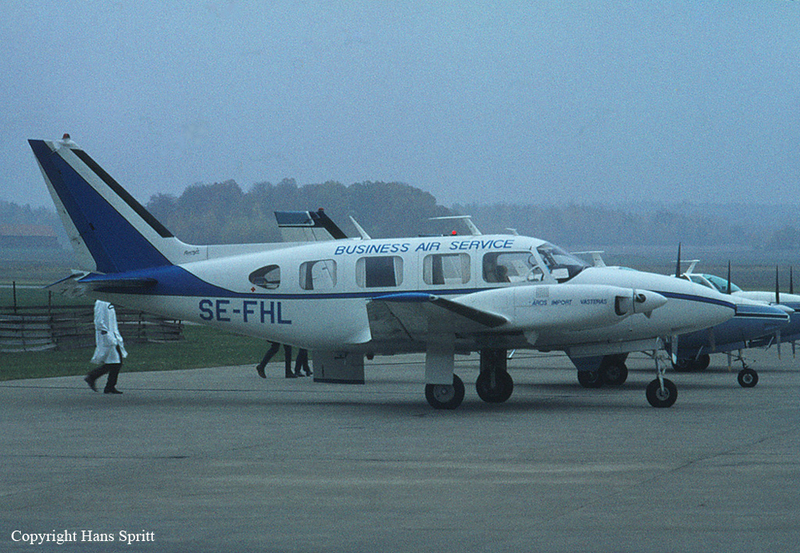 The approach to Ronneby-Kallinge Airport was initiated in limited visibility due to rain falls. On short final, the twin engine airplane went out of control and crashed in a wooded area located six km short of runway threshold. All eight occupants have been killed.